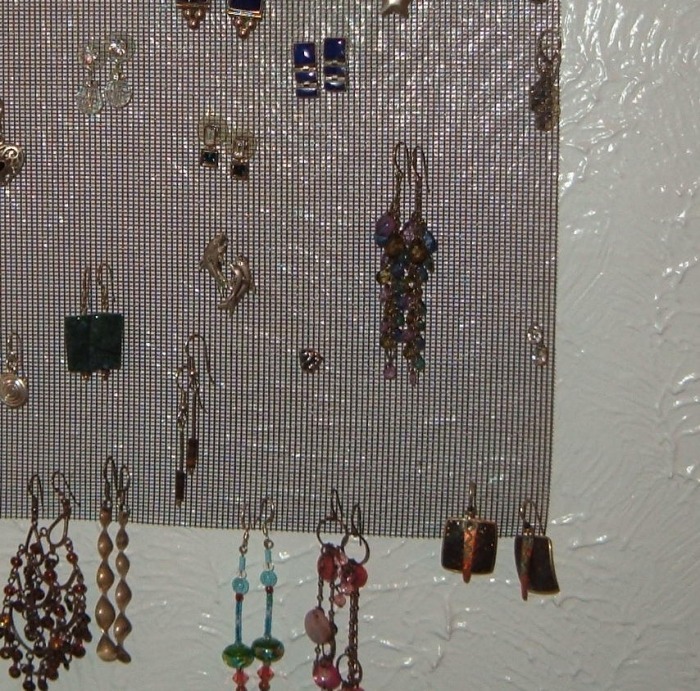 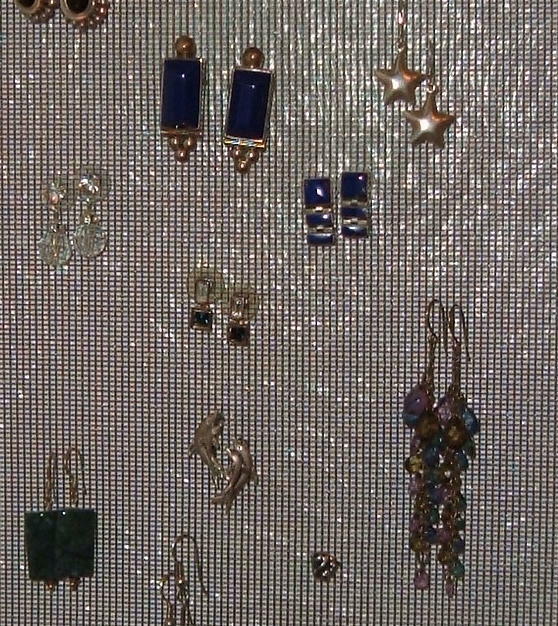 Store all of your earrings in plain sight and create a colorful and visual composition on the wall at the same time. 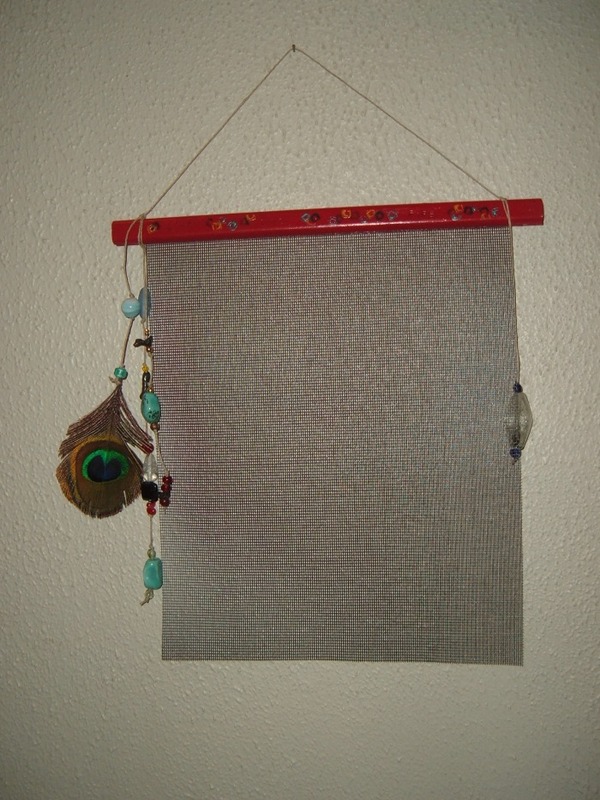 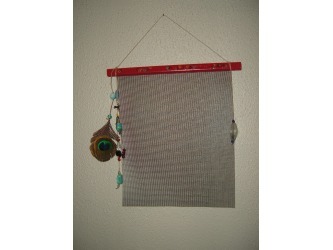 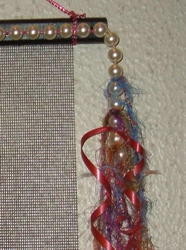 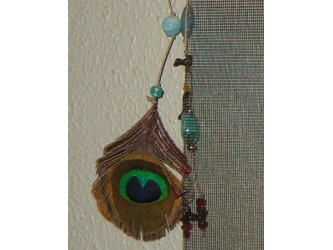 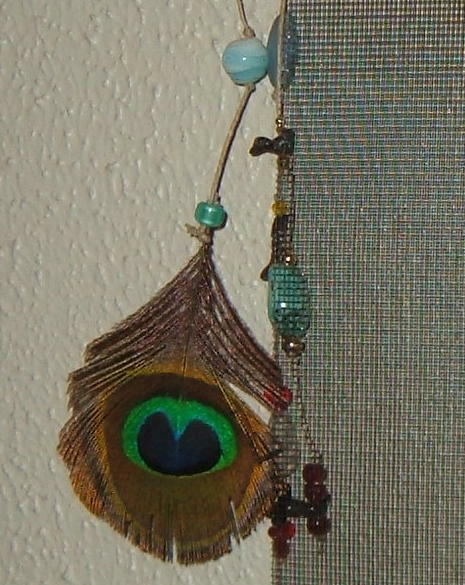 Stud earrings and dangle earrings alike can be stored on this banner of soft, plastic screen fabric. 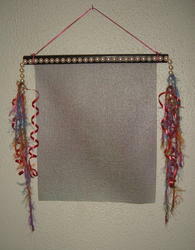 The banner is approximately 12" X 12" (not including the hang cord). 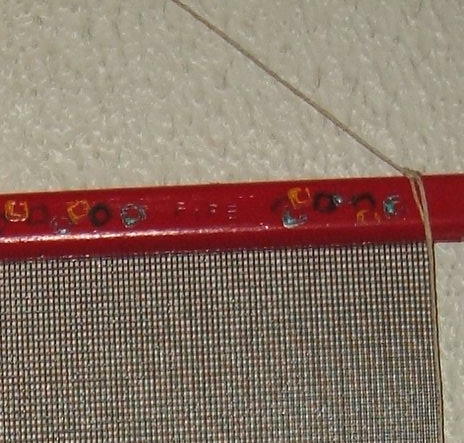 (ID# 00015) Artist: Toby Cappel, 2009. 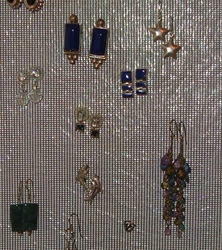 Store all of your earrings in plain sight and create a colorful and visual composition on the wall at the same time. 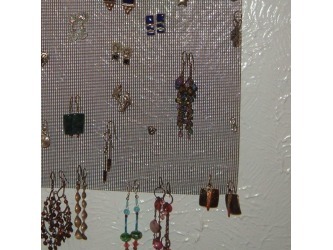 Stud earrings and dangle earrings alike can be stored on this banner of soft, plastic screen fabric. The banner is approximately 12" X 12" (not including the hang cord). 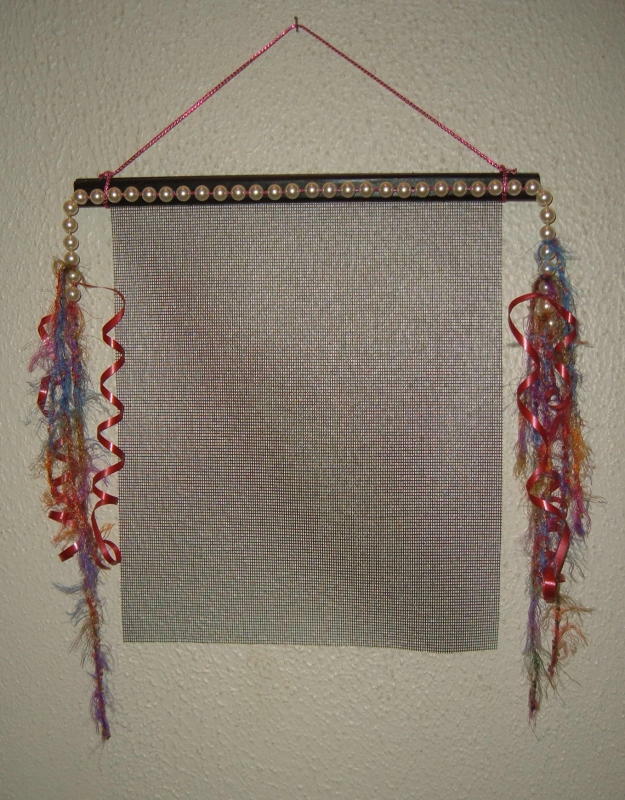 (ID# 00017) Artist: Toby Cappel, 2009.